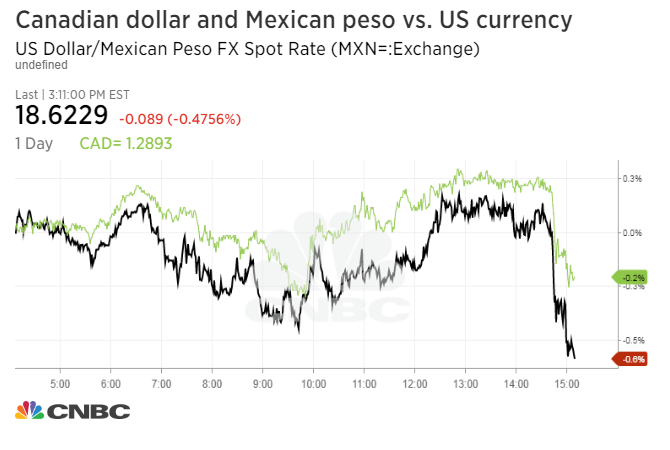 The Mexican peso and the Canadian dollar rose against the U.S. dollar on Thursday on the back of a report that said Canada and Mexico will be exempt from proposed tariffs on steel and aluminum imports. The peso traded 0.4 percent higher at 18.639 against the U.S. dollar, erasing earlier losses. 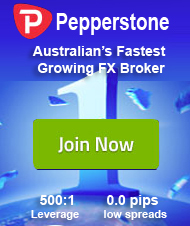 The Canadian dollar jumped to trade 0.1 percent higher versus the U.S. currency at 1.2898. Earlier Thursday, The Associated Press, citing sources, reported that the tariffs proposed by President Donald Trump on steel and aluminum imports will take effect in 15 days and will exempt Canada and Mexico indefinitely. Canada and Mexico are two key U.S. trade partners. Trump is expected to make an announcement on the tariffs Thursday at 3:30 p.m. ET.